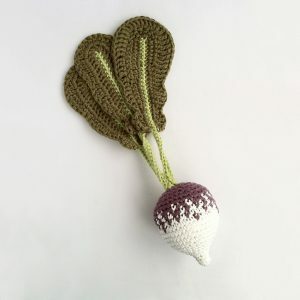 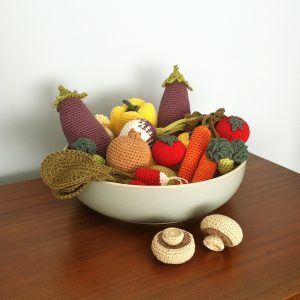 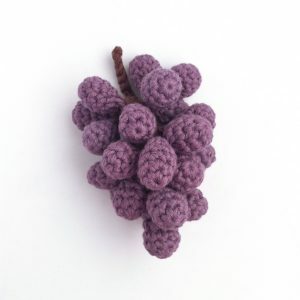 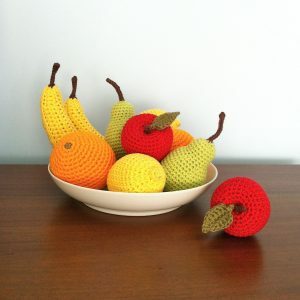 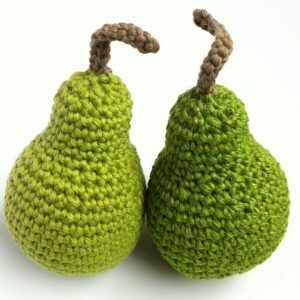 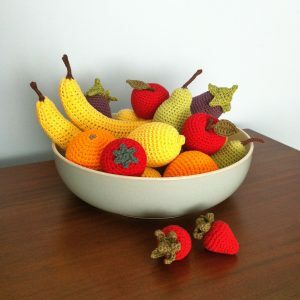 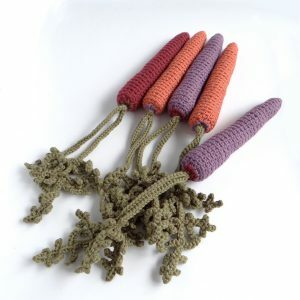 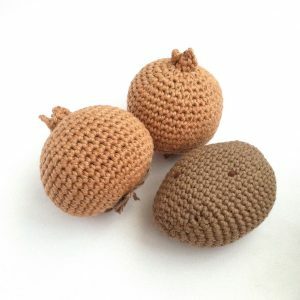 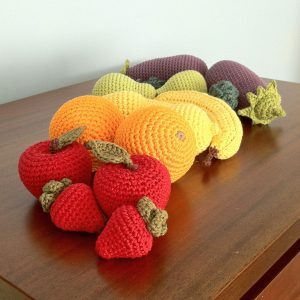 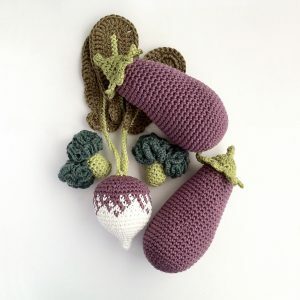 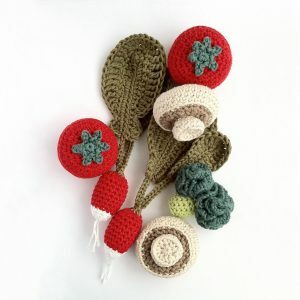 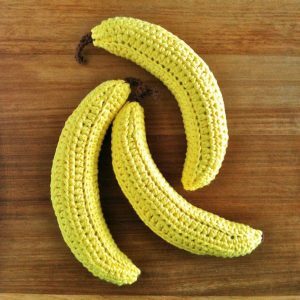 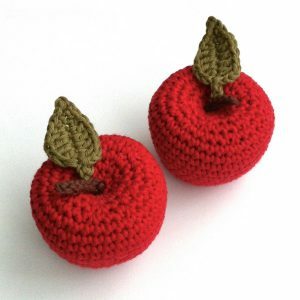 Handmade to order for you, these crocheted fruit and vegetables make wonderful decorations in your home. 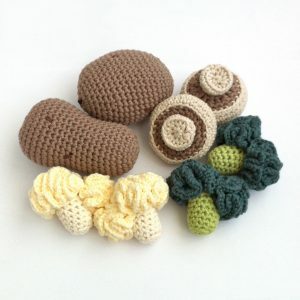 Depending on the items ordered, I use organic cotton, cotton, hemp and bamboo yarns – on synthetics here! 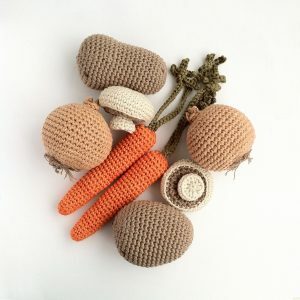 All pieces are stuffed with 100% natural British sheep’s wool. 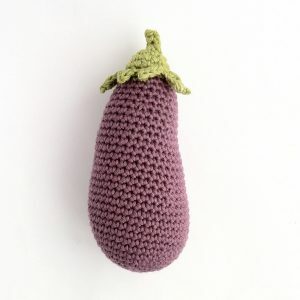 Gently hand-washable. 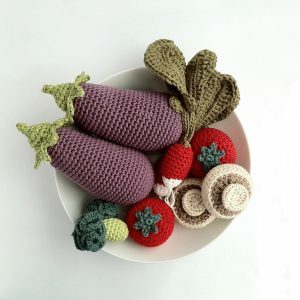 Choose from: red apple, green apple, orange, lemon, banana, pear, 2 strawberries (counts as one item), carrot (with leaves), tomato, aubergine/eggplant, celery, French breakfast radish, cauliflower floret, broccoli floret, 2 mushrooms (counts as one item), turnip, onion, potato. 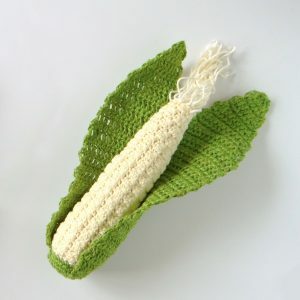 Sweetcorn is now also available at £15 and green or purple grapes for £12. 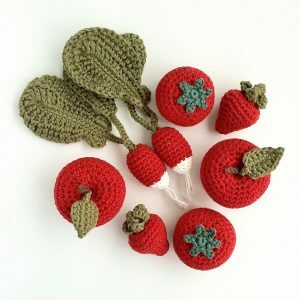 Order through my Etsy shop or contact me. 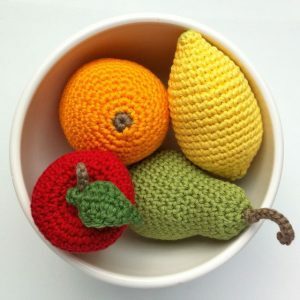 Please note – these items are not toys and are not suitable for those under the age of fourteen. 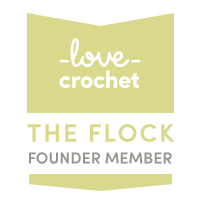 This is because they have not been tested, and therefore not passed the test, for a CE mark.